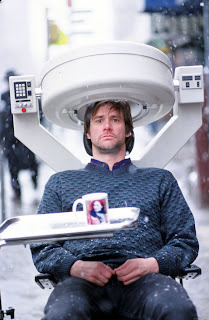 My favorite movie ever is the Charlie Kaufman-penned Eternal Sunshine of the Spotless Mind, where Joel (played by Jim Carrey) attempts to have his girlfriend erased from his memories, but then realizes halfway through that he doesn't want to forget her. This film appeals to me on a lot of different levels, and the main question that it posits is one that I ask myself frequently - Is it better to live with the memory of someone I love, no matter how painful, or would I be better off living as if the other person had never existed in my life? In general I lean towards the former, but that doesn't mean that I don't occasionally consider the latter. There are certain people in my life, the very thoughts of whom trigger extremely strong emotions in me, sometimes to the point of being unbearable, and I'm left wondering whether or not it would be such a bad idea to erase them completely from my life. FINALLY feeling better, after a whole week of total misery. (Didn't stop me from wearing makeup, though I definitely wasn't up for photographing myself.) I was dreadfully sick with a sore throat/cold/nausea, and on top of that I had to chaperone the senior class grad night trip down to Magic Mountain in SoCal on Thursday/Friday. I've been largely absent this past week, especially beauty-wise, because I've been really sick - sore throat, stuffy nose, headaches, nausea, all of that. Which makes me not feel so motivated to take photos of myself :) But I'm on the mend! I've been into SFA since college (Rings Around the World is still one of my favorite albums), but I didn't REALLY start exploring their discography more until this past month or so with Jimmy. And they really are quite amazing. And it's really hard to describe them, which I think is a good indicator for anything creative - if you can sum it up in five words or less, then there must not be a whole lot of substance to begin with. SFA are a Welsh band, and being Welsh figures into a lot of their music - in fact, they have a lot of songs sung in Welsh. Correct me if I've got this wrong, but from what I understand, the Welsh are kind of like the underdog of Britain, compared to the superpower that is England. A lot of SFA's lyrical themes deal with resisting an oppressive power and rising up against The Man. But not in an angsty Muse sort of way - SFA's lyrics are poetical and intellectual. 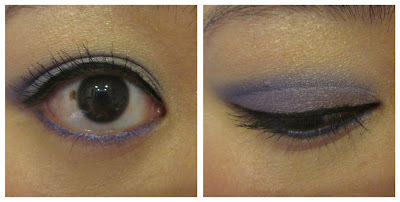 I've done a purpley/yellowy look before, but not with these particular shadows. 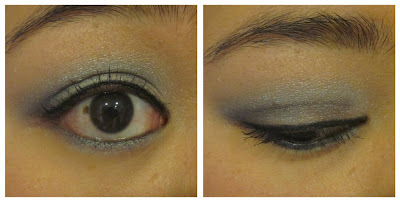 I particularly love the blue shadow in the crease. My latest Painted Ladies blog is posted! This color is magic. I'd always wanted to try Dragonfly, and once it was finally restocked, I JUMPED on it, having heard so many great things. And I was NOT disappointed. In the jar, so innocuous. A reddish brown. 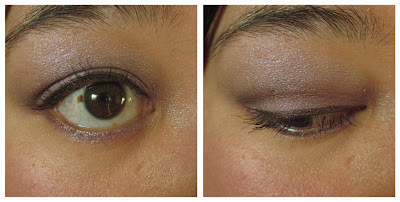 On top of the NYX Taupe I was wearing today, it's a beautiful brown shimmer with a metallic touch. Simply gorgeous. The iridescent duochrome finish DOES look exactly like the skin of a dragonfly's wings. On top of dark colors? 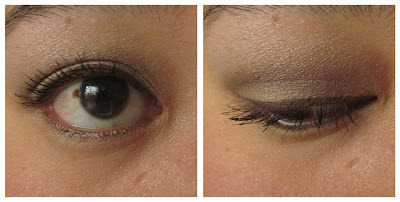 (In this case, UD's Barracuda and Black Dog eyeshadows from the Black Palette.) SO amazing! It's like it becomes a different color. There is actually another color, but it is almost a dupe for Lounge - it is one of the Definer colors from Wet 'n' Wild's Comfort Zone 8-Color palette. Perhaps the less said about this weekend's NYX fiasco, the better. I don't think I will stop buying their products, but I pretty much will never buy directly from them, I think - I will probably always only buy NYX through Ulta or cherryculture.com. NYX customer service seems to have their heads stuck someplace unpleasant. 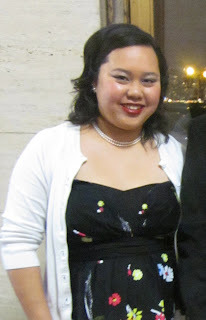 I can't NOT post the details of my prom look, right? :) Bear in mind that I was chaperoning - I'm not a student myself. I realized after I finished how dressy this looks, so it's also Prom Test Look #3. 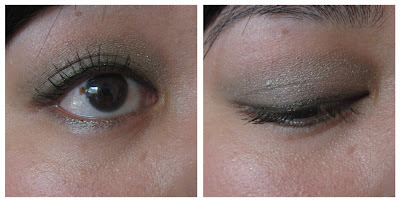 This was also my first-ever use of UD's Loose Pigments, which I've had FOREVER just sitting in my drawer. Please excuse how red my eyes are. I've been putting on and removing makeup for, like, HOURS, and they're irritated with me. 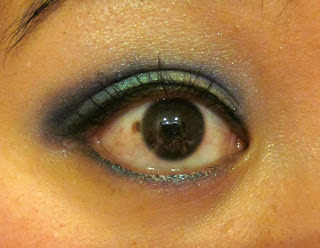 - Sugarpill Chromalust in Lumi all over lid (on top of Black too) and on top of Zero - it's a duochrome so wherever there's black, it shows up green! Otherwise, it's white. Would wear this with: I'm thinking peachy/gold for a blush, and for lips, either NYX Megashine Gloss in Crystal Soda, UD Lip Junkie gloss in Midnight Cowboy (or their lipstick in the same shade), or MAC Viva Glam V.
I like this one because it's all pencils, which means it's easily portable. I think I used only one brush. 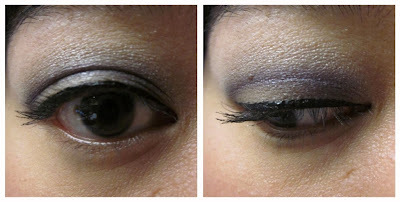 Note: This look was made possible by the fact that I sharpened my eye pencils last night, which gave me a better line. 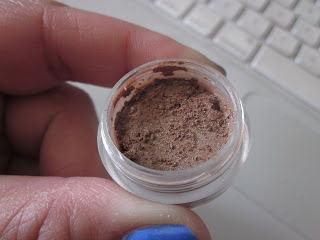 TouchBack Brow Marker Makes Eyebrows Easy! Sing it with me! 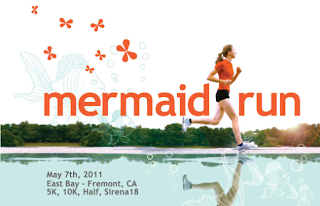 "Hanging around... nothing to do but frown..."
This morning I did my first 5k in YEARS with Jimmy's sister Laura - it's the Mermaid Run series (which includes a 5k, 10k, half-marathon, and an 18-miler). This one, the East Bay race, took place at Quarry Lakes Park in Fremont. Laura suckered me into this one :) because she'd heard that they had a really cool participants' shirt and finisher necklace (and they do!) and it worked out really well for my training schedule, because I would've been running about this much mileage anyway. This was Laura's first race. You know, I wasn't thrilled about how my nails didn't last much longer than regular nail polish did, even with an anti-chip topcoat, but maybe it's just me. I'm pretty rough and careless with my hands. I can understand the appeal of the name "Purple Haze" - it describes a color, and it's the name of an awesome song, so it has all these rock 'n' roll connotations to it. 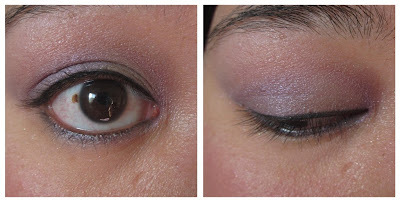 Urban Decay has TWO shadows called Purple Haze, and they're both totally different! I like that this eye look really brings out the brown in my eyes. More purple today... well, it's not ALL purple, but it all goes together. 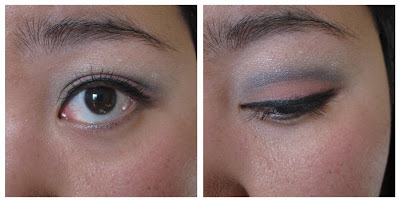 I applied my colors in layers and stripes across my eye (and blended really well). And I totally FORGOT to put on mascara!!! I apologize for the yellowness of the photos... if I get a chance, I'll re-do them. I really am wearing purples. 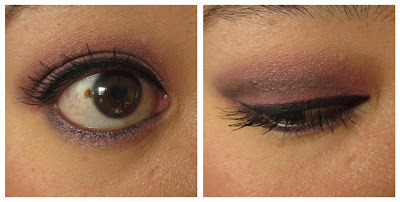 - Sweet Libertine Storybook Romance along the lower lash line. ... that O'Brien was actually working for Big Brother the whole time. Who gets to be the new Emmanuel Goldstein now? Registration for the FIRST EVER Portland Rock 'n' Roll Half Marathon opened today, and of course I registered! I've heard lots of good things about the RNR races, and how could I not want to do the first-ever RNR in a city that is near and dear to my heart?